This month, as a prelude to our class work about Remembrance Day, we decided to start exploring this Big Idea through the lens of what it means to be a Canadian citizen and how our rights, roles and responsibilities as Canadians shape our personal identity. In Kindergarten we begin with where the children are in their learning, and preferably shared learning, so that we all have the same common base from which to build knowledge. The children then bring their personal experiences, which makes the discussions rich with language and images, as they connect their understandings to their new learning. Our practice is built on schema theory, or how we make sense out of new experiences and new information by activating our prior, or background, knowledge. The new experiences and information are interpreted by what we already know, our schema. Schema refers to a person’s knowledge. Our knowledge has been developing since we were infants, through our senses and growing with each new experience. We need to have the appropriate schema to “hang” the new knowledge on, in order to make sense of what we do not know or understand. We make sense of our new experiences and learning through assimilation, which is (like the Borg) when we have to extend our prior knowledge to integrate the new knowledge or accommodation, when we change what we know to integrate the new knowledge. Schema theory is significant in the area of reading comprehension, as we need to bring the appropriate schema to new text in order to make sense and understand what we are reading. The role of schema theory in reading comprehension is due to the work of educational psychologist, Richard Anderson. That is why, so often, teachers will use brainstorming, KWL (what we Know, what we Want to know, what we have Learned) or a class provocation to build a common schema before starting a new unit of instruction. A common experience for all of our Ridgeview school population is that we sing, “O Canada,” every day at school (we sing in French on Fridays). In our classrooms we stand facing the Canadian flag. The pride with which the Kindergarten sings the national anthem is extremely moving. 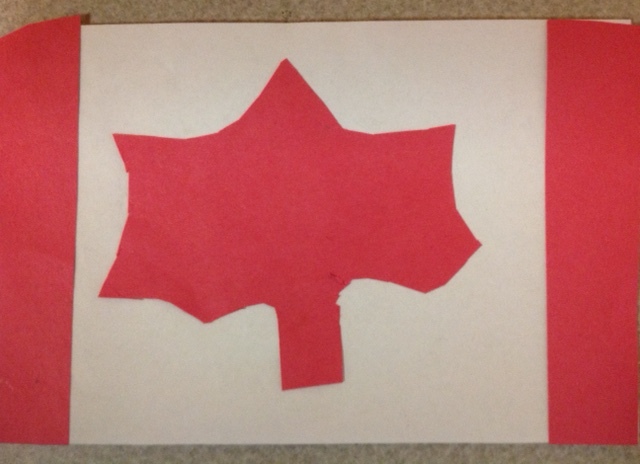 To create a common body of knowledge for our students, we started a provocation with a small Canadian flag and asked the children what it meant to be a Canadian citizen. Words and phrases such as “maple leaf,” “Canadian flag,” “maple trees” and “red and white” were among the first ideas to be shared. Many children also knew that a Canadian citizen was someone who was born in Canada. We introduced the concept of “role” to the children by asking them, “What do you think is one of your jobs as a Canadian citizen?” Some of the children said they were proud of Canada. When asked to “tell us more about that” one student said he was dreaming of the Toronto Blue Jays. That led to more pride as we discussed the BC Lions, the Vancouver Canucks and totem poles. We defined “rights” as something you “should” have, when talking about the children’s rights as Canadians. They children responded quickly with “clean water to drink” and “healthy food.” But just as important as those ideas, was the right to “having a great family.” A five-year old child can have a very wise soul…. Kindergarten children of today are socially very responsible. The concept of recycling “pack out garbage; we recycle; we reuse” and water conservation “be careful with water use” are familiar to them, having been modeled and discussed by their parents and teachers their whole lives. So what did we take away from our initial lessons? We learned that right now our children see their role as Canadian citizens as being proud Canadians, proud of teams and symbols that represent their country. We learned that right now our children see that their rights as Canadian citizens include a loving, supportive home and a healthy diet. We learned that right now our children see that their responsibilities as Canadian citizens are to be good stewards of their planet Earth. That’s about as Canadian as it gets, eh? Ridgeview has many assemblies during the school year. 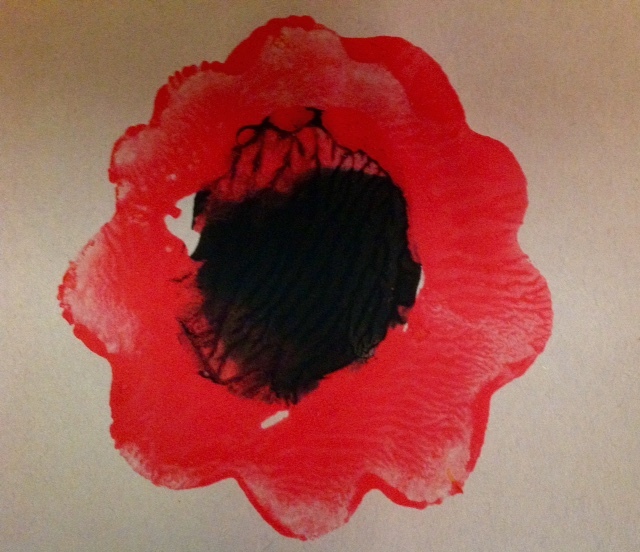 Sometimes they are to celebrate an occasion such as Hallowe’en, other times they might commemorate a special day as in our Remembrance Day Assembly upcoming on Tuesday, November 10. Each assembly has a different purpose; however, students are always expected to walk into the gym quietly, sit patiently while waiting for the speakers and applaud appropriately. At no time will shouting, hooting or yelling be tolerated. These are not games. Rather, it’s an opportunity for our student school community to come together as one. Occasionally, parents are invited to the school assemblies. We welcome your attendance and interest in our school activities! You can support us by not waving, calling or trying to get the attention of your children. We have instructed the children not to wave, call out or respond to others while walking to, or during, assemblies. Developing focus, patience and waiting without complaining, are life-long skills our children will need as teenagers, adults and in their social relationships.